The Church does not recognize and cannot recognize as grace-giving and salvific any ‘sacraments’ including Baptism administered in a schism. This is a common point of view confirmed by many testimonies of the church Tradition. ‘Recognition of schismatics’ sacraments’ is an altogether improper expression which can be only misleading. The point here is not a diplomatic manifestation of politeness but attempts to impose on the Orthodox the recognition of a real presence of saving grace outside the Church. For the Church, the authenticity of Sacraments is a matter of salvation. It is impossible and senseless to speak of ‘recognition of sacraments’ administered by schismatics who stay outside the Church and have no communion with her. However, as His Beatitude Vladimir, Metropolitan of Kiev and All Ukraine, has stressed, ‘the schismatics’ return to the saving fold of the Church can put life into their graceless actions’. When schismatics come back to the Church, it is a normal practice to embrace holy Baptism. But if the Church deems it necessary and if it is helpful for healing a schism, she can in some cases provide a different procedure, as was the case on repeated occasions in history. The Church will never recognize schismatics’ ordinations, and all the clergy who come back from a schism should be ordained, though it is not at all necessary to make it in public. As far as the Sacrament of Baptism is concerned, it is impossible to administer it to all the laity coming back from a schism. Indeed, some of them do not even remember in which church they were baptized, canonical or schismatic. Besides, there are situation where, for instance, a schismatic priest comes back to the Church together with his parishioners. The subsequent ‘re-baptism’ of the parishioners he had baptized earlier cannot be stipulated for his return, just as a ‘re-marriage’ of those whom he had married earlier or ‘re-funeral’ of all the dead over whom the burial service had been said before. It is impossible to force a priest who was now ordained in a canonical Church to return to their parishioners and say to them: ‘Everything I have done here for ten (or twenty) years was a deception, and only now I will begin doing everything in the real way’. People will not understand it and will not believe him. For all I know, they can think he decided to get the money for the second time for the sacraments he had already administered. It is about such situations that it is stated that the Church can breathe a grace-giving power into the graceless actions of the schismatics and to inform with grace what had been only an empty and graceless form. In other words, the question of recognizing schistatics’ sacraments is not posed at all out of context of their return from the schism. But the question of a procedure of acceptance form a schism can and must be posed. And here, depending on the situation, various approaches can be applied. The Supreme Authority of the Russian Orthodox Church has repeatedly explained what is understood as inter-Christian cooperation, what aims this cooperation pursues, what results it has brought and can bring to our Church in the future. I believe there is no sense in repeating all that has been said about it, for instance, in the Russian Orthodox Basic Principles of Attitude to Non-Orthodoxy, an official document of the 2000 Bishops’ Council. I would like to mention a different thing. Today, millions of the faithful of the Russian Orthodox Church including Russians, Ukrainians, Byelorussians, Moldovans, have gone to live outside their historical Motherland. It is a sad development in many ways as it involves assimilation, brain drain, etc. But it is a reality existing regardless of its emotional assessment. One can grieve over it as much as one wants but the Church is obliged to help her children to remain Orthodox in an alien milieu. I wonder whether anyone of the ‘zealots’ has ever been concerned for the problems of pastoral care of the Russia diaspora? Do the critics of our cooperation with the Catholic Church know who actually provides our compatriots abroad with facilities necessary for services, Sunday schools and for creating an Orthodox environment for fellowship? Many newly-established Orthodox communities abroad use church buildings which have been provided by the non-Orthodox, in the first place, Catholics. When Catholics give the Orthodox an opportunity to pray in the churches which belong to them and do it often gratis, what does it show? And how many of former Catholics and Protestants have become Orthodox Christians and members of our communities abroad, among other things, as a result of mixed marriages? Do the authors who claim to be the voice of ‘conservative church public’ know how difficult it is in Western Europe, for instance, to obtain permission for building a church and to negotiate its design with local authorities? And what assistance do Catholic parishes and sometimes even Protestant communities give to our new parishes? And how many of our compatriots who have found themselves in the West in a situation of illegal migrants have managed to obtain the necessary papers and jobs with the help of Catholic and Protestant charities on the request of Russian Orthodox parishes? Like his predecessor, now Patriarch Kirill, Metropolitan Hilarion appears to be diplomatic, shrewd, and sensible toward ecumenism. It is a demanding post—perhaps the most challenging job that one can imagine for a hierarch. To do the job well, one must remain faithful toward the Church while also being open toward and engaging with the heterodox and non-Christians. While that does not seem such a challenge, the history of twentieth century ecumenism is replete with cringe inducing moments and statements by ecumenically minded hierarchs who have confused personal friendship with ecclesiological matters. Metropolitan Maximos (Aghiorgoussis) of Pittsburgh and Metropolitan Kallistos (Ware) of Diokleia come to mind as examples of good men whose extensive activity in the ecumenical movement has compromised their ability to witness the Orthodox faith clearly with the heterodox. Of course, one could also argue that it is by such outreach that great hosts of people have converted to the Orthodox faith. I owe no small part of my own travels to now Metropolitan Kallistos. The Lord employs many workers in his fields. Please come to Calvary from any direction you choose. Friday, October 22 will be the day. Fun is waiting, so get on your way. A little Seuss fun, no matter the weather. A movie, and popcorn, and stories, too. We’ll finish with a Seusscharist designed just for you. Five thirty is the time that we will start. We know you will join us, if you are smart. She’ll take reservations for family, friends and all. Age is no limit, bottom or top. We know that our gathering won’t be a flop. Have any questions you’d like to ask? Just call Adele. She’s up to the task. Those Episcopalians . . . “Communion” for dogs, rainbow flags, lesbian priestesses, clown liturgies, and now Dr. Seuss style “Eucharistic” services. A couple of weeks ago, I was returning from the liturgy on the bus when a large group of Anglicans boarded. They had just come from their Sunday service and were quite jolly. An older couple was getting to know several younger people who apparently had just started attending the parish. As they discussed various stuff that white people like, I noticed that they were carrying folded poster boards. When we approached the White House, the group stood up and celebrated their having successfully navigated the bus route to their destination. I thought that perhaps they were going to visit Saint John’s for an interparochial Anglican function, but then I noticed a large group of demonstrators in Lafayette Square. I then understood that they intended to rally, and I wished to know which subversive cause they were to champion that Sunday afternoon. I asked the older lady, and she said that they were rallying to raise awareness for climate change and to encourage the White House to install solar panels. She politely invited me to come along, and I thanked her and declined. Given the state of the Anglican communion today, a rally to support solar panels was as innocuous an assembly as one could hope for. What would Cranmer think of his children? My ignorance often surprises me. Until this week, I did not know who Joseph Julian Overbeck was, and I was similarly unaware of how old certain ecumenical tendencies were. For the last week, I have casually been reading about the history of relations between the Orthodox and the Anglicans. I have found some surprising discoveries. For example, after Metropolitan Platon (Rozhdestvensky) of the Metropolia broke relations with the Karlovtsy Synod in the mid 1920’s, he tried to establish an autonomous church in the United States, the American Orthodox Catholic Church. He charged Aftimios Ofiesh, the bishop of Brooklyn and the successor to Bishop Rafael, to carry out this task. However, Platon withdrew his support for the new church after American Episcopalians found it objectionable, as they considered themselves to be the senior church in America. This indicates the degree to which the leadership of the Metropolia respected (and, might we wonder, recognized) an Anglican ecclesiological claim. How some things never change . . .
From what I have read, Saint Tikhon and many other bishops and priests had very cordial relations with the Anglicans in the relative past. The Anglicans were extremely generous to the Orthodox in this country and even globally, as Britain and her children ascended to being the most powerful political and economic forces in the world. Anglicans assisted Greece after Greek independance from the Ottomans, Anglicans developed cordial relations with imperial Russia, Anglicans allowed Orthodox Christians in America to use their facilities for worship and for community functions, and Anglicans sent medical and educational supplies to Orthodox Christians in the Dar al-Islam. Yet, do such friendly relations necessarily lead to a willingness to blind oneself to ecclesiological inconvenient facts? The most modernist bishops like Platon or Meletios (Metaxakis) of Constantinople leant toward recognizing the Anglicans as part of the Church along the lines of Anglican branch theory. Yet, the cynical side of me also wonders why these very same modernists were so power hungry in their episcopal activities and likewise had a history of rebellion against the authority of their superiors and conciliar decisions, not to mention the tradition of the Church. Were the wealthier and more powerful Anglicans simply a tool for these men’s own worldy ambitions? Were they willing to trade the continuity and doctrine of the Church for money and prestige? Of course, I cannot judge their hearts, but their actions should caution us in our assessment of their work. However, the story of Joseph Julian Overbeck marks quite a contrast to that of Platon, though the partisans of the West might accuse him of selling himself to the East for the same reasons. The readiness to accuse betrayal might depend on one’s perspective. According to his OrthodoxWiki entry, Overbeck was German professor and a priest in the Roman Church. In the mid nineteenth century, he left the Roman Church and began attending Lutheran services. After studying Ephraim the Syrian, he began to explore Orthodoxy, to which he eventually converted. Following his conversion, Overbeck attempted to establish what we now call the Western rite. He wanted to refound the Western Churches that had departed the apostolic faith. I discovered Overbeck through his Catholic Orthodoxy and Anglo-Catholicism, A Word about Intercommunion between the English and the Orthodox Churches, published in A.D. 1866. Google Books also has a copy of it. I was shocked to learn how the ecumenical themes have not changed. Of course, the ecumenical issues between East and West present themselves given the history and doctrines of the Orthodox, Rome, and the Protestants, but I was surprised that already in Overbeck’s time, men were discussing the same issues in the same way as they continue to do so. The nineteenth century was the historical century. The West began an intense search for its roots—an endeavor that had been largely ignored for the previous centuries of “Enlightenment.” You can see such a movement in the arts with Romanticism and in the celebration of national and of folk traditions. Consider the amazing developments in philology, archaeology, and hermeneutics in the age of Schleiermacher, Schliemann, Grimm, Newman, and Hugo. Even the Scottish Calvinists bequeathed us their monumental Ante-Nicene Fathers collection. I knew about the intense interest of nineteenth century Europeans and Americans in their history, but I was not aware that the resourcement manifested in interest in the Orthodox Church. I assumed that such did not come about until the twentieth century, but I was wrong. Though Overbeck was a German, he found kindred spirits in the Oxford Movement. 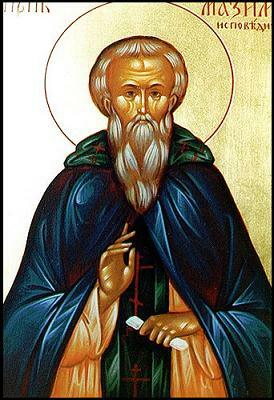 His OrthodoxWiki article notes that one hundred twenty-two men involved in the Oxford Movement joined Overbeck in requesting the Russian Church to establish a Western rite in Orthodoxy. The article also mentions how the Greeks were quite wary of the idea and that their opposition effectively stopped the movement. However, the Russians and the Arabs did establish a Western rite, but it has remained rather marginal and small. The Greeks continue to dismiss the possibility of Western rite Orthodoxy, and most Western converts to Orthodoxy abandon their ancestral liturgical forms when they ecclesially orient themselves. What is dispiriting in this is that Overbeck seems to have been wrong about the spiritual hunger of disaffected Westerners. I would like to believe that theologically curious and intellectual honest Protestants would necessarily convert to Orthodoxy, or at least to Rome like Newman, once they were exposed to the apostolic faith. For it appears that they pine in their sectarian chaos and faddish theological confusion for the solid wholeness of the continuously lived ancient Christian way, delivered to the apostles and guarded by the faithful. I fancied that only residual anti-Roman bigotry and lack of opportunity condemned Protestants—and confused modernist Roman Catholics ignorant of the riches within their own tradition—to remain adrift in a sea of trendy superficial religious gimmicktry, resigned apathy, or resentful agnosticism. However, the English speaking world has had several generations of freedom and of opportunity to escape the spiral of apostasy and of heresy so rampant in their societies. Most people would rather live horizontal, hedonist lives, and the religiously committed minority seems content to ignore the theological contradictions of their ever mutating “denominations.” Even those folks seemingly most ripe for conversion, such as the Anglo-Catholics or various communities of traditionalist Old Catholics, appear to indulge in the sectarianism so prevalent in the so called episcopi vagantes cultures. Overbeck and Newman, who opted to swim the Tiber, are not typical men. They offer no omen for the future. The future for so many Western Christians, it seems, will be a never ending cycle of hustlers and charlatans peddling heresies like the gospel of wealth, the “living church,” or the “emerging church.” Like perpertual adolescents, these Protestants rebel without end, all the time trying to find their way home but too ignorant, too independent, and too proud to answer the call of their fathers. The Moscow Patriarchate has a YouTube channel with dozens of videos: RussianChurch. Most of the videos are coverage of Patriarch Kirill’s public pastoral activities, but others are programs from Orthodox television, such the Church and World segments. It is good to see Moscow offer more internet resources. I must admit once again how wrong I was to worry about the election of Kirill to the patriarchate. From all accounts, he fulfills his duties well. Moreover, he seems well suited to the modern media age, and he appears to be really enjoying his pastoral duties. Of course, we want sanctity, piety, and orthodoxy in our bishops. However, some media showmanship and charisma are useful qualitiies for a hierarch to have when presenting the gospel to the unchurched. Patriarch Kirill usually has a twinkle in his eye; he seems completely at ease in his position. He is a natural leader and a diplomat. If the recently reposed Patriarch Alexy was God’s instrument in leading the Russian Church from Communist oppression to the spiritual reawakening of the Motherland, then Kirill may be an appropriate tool for using every available resource to evangelize in the post-Soviet age. Here is coverage of Patriarch Kirill’s visit to the Pacific submarine squadron base. Imagine what Brezhnev would think! What we have been witnessing in Russia is a miracle. The skeptics point to the degradation of Russian society and to the persistance of atheism and of spiritual apathy in the old Communist bloc. Rejuvenation is slow, but it is happening. Consider simply that no one would have believed you had you described Russia today to folks thirty years ago. Praise be to God! Should we look to kings and princes to put right the inequalities between rich and poor? Should we require soldiers to come and seize the rich person’s gold and distribute it among his destitute neighbors? Should we beg the emperor to impose a tax on the rich so great that it reduces them to the level of the poor and then to share the proceeds of that tax among everyone? Equality imposed by force would achieve nothing, and do much harm. Those who combined both cruel hearts and sharp minds would soon find ways of making themselves rich again. Worse still, the rich whose gold was taken away would feel bitter and resentful; while the poor who received the gold form the hands of soldiers would feel no gratitude, because no generosity would have prompted the gift. Far from bringing moral benefit to society, it would actually do moral harm. Material justice cannot be accomplished by compulsion, a change of heart will not follow. The only way to achieve true justice is to change people’s hearts first — and then they will joyfully share their wealth. It is funny how the mind of the Church is present in the people. I remember Andrew’s schooling me on these very points about a decade ago. It just makes sense given the Christian paradigm. That being said, it is clear that a good deal of what may be generously called “contemporary Christian thought” springs from other, more horizontal concerns. In Kruse’s post and in one by John Couretas, Chrysostom on the Poor, there are some other excellent passages from Saint John that emphasize the communal reality of human life. We are not atoms in a social void. Rather, we are members of a larger body. This is true of man naturally, and that natural unity takes on a transcendent character in the life of Christ. Whenever I read the fathers in general and Saint John Chrysostom and Saint Basil of Caesarea in particular, who wrote so much on Christian society, I am reminded of Alexander Schmemann’s description of modern -isms as Christian heresies. The revolutionary and socialist doctrines of the Left are indeed bastardized and disfigured Christian teaching. I had a professor once who mused how the French philosophes could dare propose liberté, égalité, fraternité when they had thrown out the Paternité on whom those ideas rest. The consequences of a horizontal, godless society is not the social utopia imagined by Condorcet but the hellish state of nature where there can be no such thing as a commonwealth—an endless Hobbesian dytopia. For the common good, and adherence thereto, ultimately rests on transcendent truth and man’s allegiance to it (for further musings on this topic, go here).